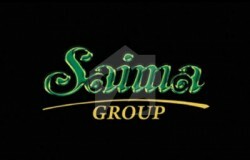 The name of Saima Real Estate is synonymous with quality and trust for well over two decades. Their projects were always received well by the people which exhibits their sound credibility and immaculate performance. Saima’s projects speak loud for their innovative design, state of the art facilities, high quality construction and sound planning. Their enviable success in the housing industry also reflects their attributes like sound planning, firm commitment and strict adherence to deliver schedules. Saima Arabian Villas is an exclusive residential project comprising 120, 160 and 240 sq yards modern super luxury bungalows plus 80 and 120 sq yards residential plots. The project has been planned and created keeping especially in view the people and their budgets. The exclusivity of this project is state of the art planning, beautiful elevation and above all, pricing factor that makes it affordable despite being equipped with modern amenities of life. What’s more, the entire project is monitored by CCTV cameras strategically placed along the boundary wall for complete security of the inhabitants so that they can move freely around the project without any fear. The project has its own mobile security vans to ensure peace and tranquility in and around the project premises. Saima Arabian Villas comprises of 120, 160 and 240 sq yards super luxury bungalows offering a substantial chunk of modern amenities that make life really enjoyable at an affordable cost. So, live in the new embracing peace and serenity, life and color and above all, human friendly and secured environment which is a boon for health and happiness of the residents. Striving for one’s own home is a natural instinct infused in every human being. A home is not just a shelter. It’s a place where desired are nurtured and dreams come to life. A home is in fact a synonymous with peace, privacy and sense of possession. Hence, an ideal home must be your very own, with your own land as well as your own roof. It should reflect your taste and bring your dreams to life. North Karachi is a township spread over an extensive area, free from pollution, congestion and clutter of traffic. Because of its proverbial serenity and peace, it is considered an ideal place from residential point of view. Its spacious newly constructed road, lush green parks, playgrounds and a host of other facilities add a new dimension to its residential significance. A project surrounded by a concrete boundary wall will provide extra protection against any untoward event in the shape of trespassing or infiltration by any outsiders. Saima Arabians Villas offers all this and more to provide foolproof security to the dwellers. Safety and security of inmates has always taken the driving seat at all Saima’s projects. At Saima Arabian Villas, round the clock surveillance shall be observed though closed circuit cameras installed at strategic locations along the boundary wall.